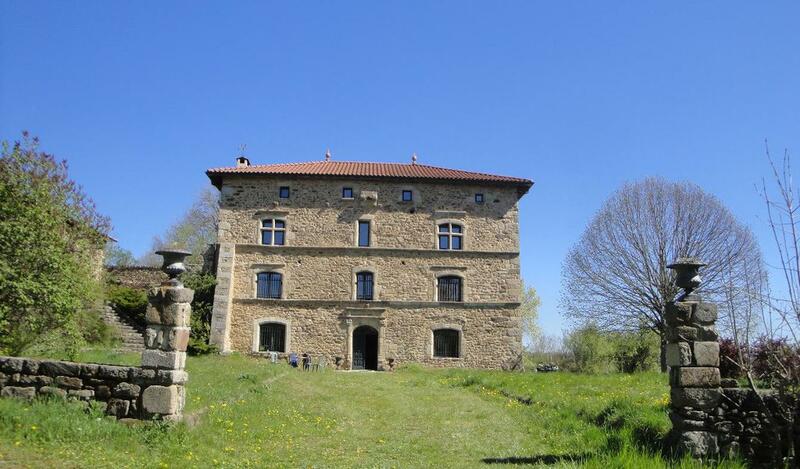 Stunning manor house dating from the 14th century and located on grounds of 8400 m2, the property consists of a square building with the original tower with a natural stone spiral staircase. With the passage of time the buildings have been transformed into a remarkable property which is South facing and as such benefits from lots of sunshine. 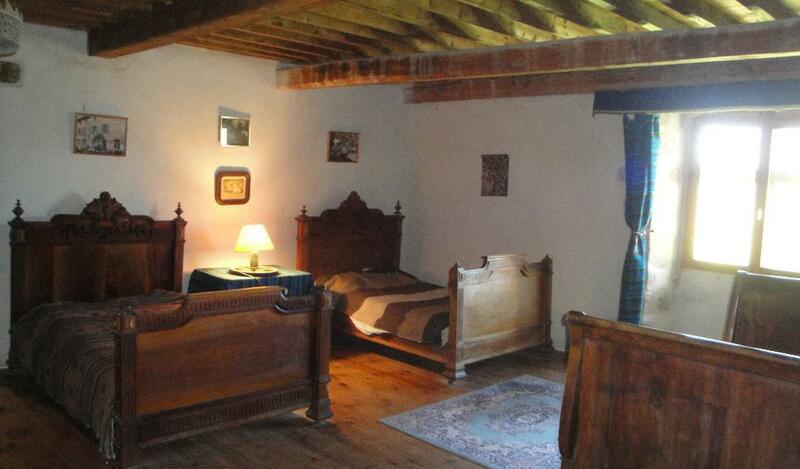 Ideally suited for use as a chambre d'hôte/gîtes. The layout is as follows; Beautiful vaulted entrance hall (20m2) which traverses the building all the way to the tower with the spiral stone staircase at the back and with the accommodation to either side. On the lefthandside - kitchen of 25 m2 with a beautiful fireplace and burgundy stone floor and a utility room. On the righthandside - a living/dining room of 42 m2 with a beautiful fireplace and wooden floors, bedroom/ study and a WC. On the 1st floor - a large room of 62 m2 with wooden floor. This room could be used as a studio, with a beautiful fireplace, kitchen unit and French doors to the garden. On the other side - a corridor leading to a bathroom of 15 m2, separate WC, and 2 bedrooms of 15 m2. On the 2nd floor - 2 bedrooms of 20m2, a bedroom of 30m2, and a bedroom of 38m2, a bathroom with shower, washbasin and WC. On the 3rd floor a large attic of 160m2 with a good ceiling height. Attached to the right hand side is a stone barn of 290m2. The property has been renovated since 2002 and is in good condition but there is still some work that needs to be done. The roof was redone in 2003 and is in good condition. Heating via wood stoves. Located about 12 km from Marsac and Arlanc with shops and facilities and 22 km from Ambert with all further shops and services. For more information and viewings please contact Wim van de Ridder on 00 33 (0)6 02 24 82 79.